The mayoral candidate spent the morning visiting precincts around the Northwest Side, braving the low temperatures that lowered voter turnout throughout the day. 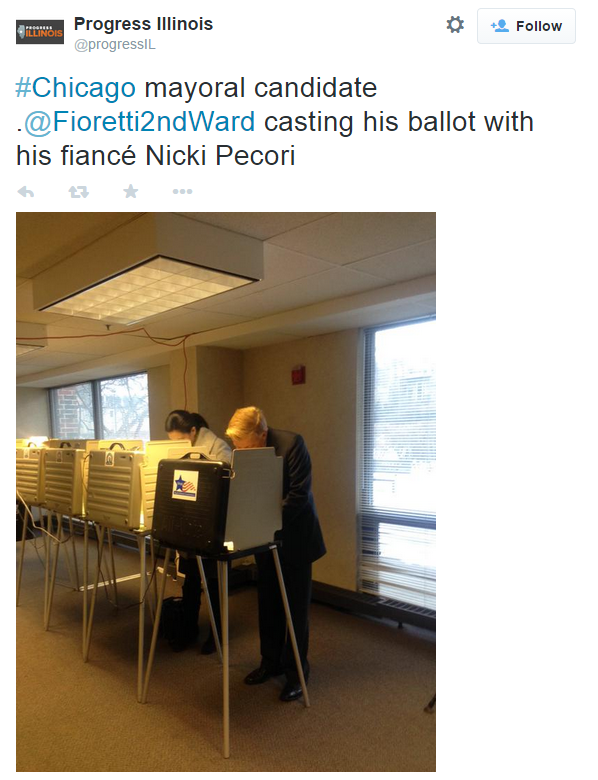 Fioretti and Nicki Pecori cast their votes in a photo tweeted by Progress Illinois. For lunch he went to Manny’s Deli in University Village on the Near West Side. He was joined at the deli by some of his supporters, as well as fellow Alderman Scott Waguespack. 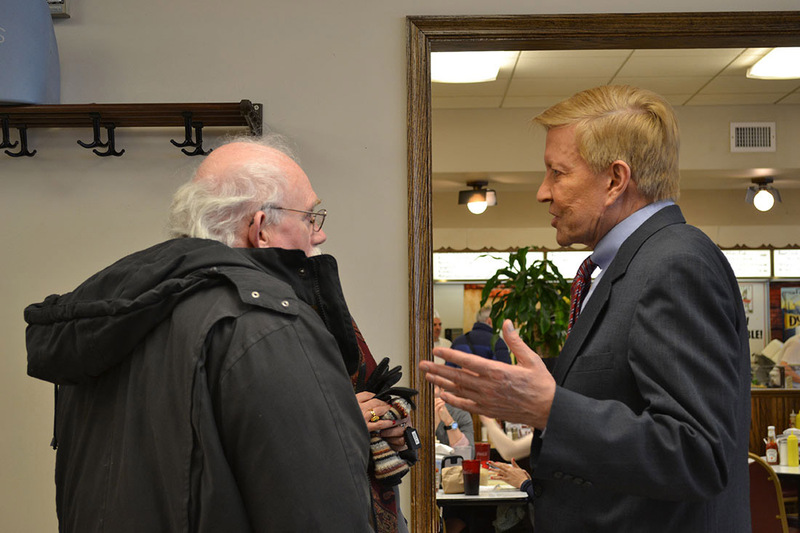 “When I walked in there was a lot of people here and a lot of people said hi and a lot of very encouraging signs,” Fioretti said. Fioretti ordered “the usual” – a big pastrami sandwich, potato pancake, matzo ball soup, and a carton of milk–and settled in for two hours. He wasn’t the only mayoral candidate at Manny’s this afternoon. His opponent, Jesus “Chuy” Garcia, was seen posing for pictures with people at the deli. 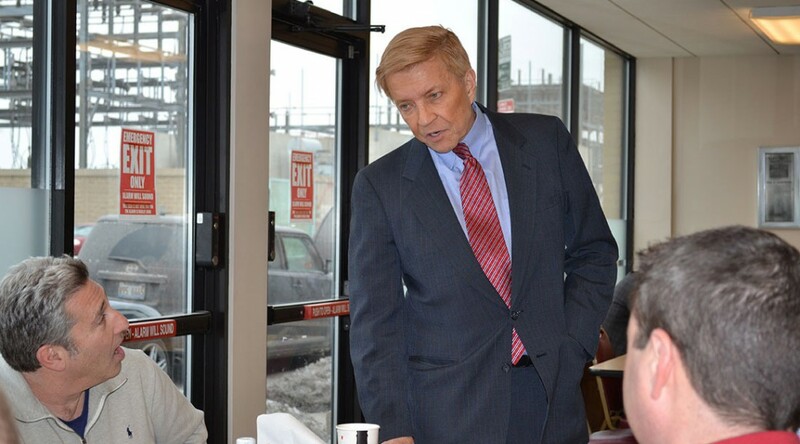 But Fioretti did not seem so concerned with posing with patrons as he did shaking their hands and speaking with them. He seemed to blend in with the crowd, sitting with a group in a side room of the restaurant. When he approached various tables to greet guests, an occasional “good luck” was heard from patrons. It was a positive message that he maintained himself.